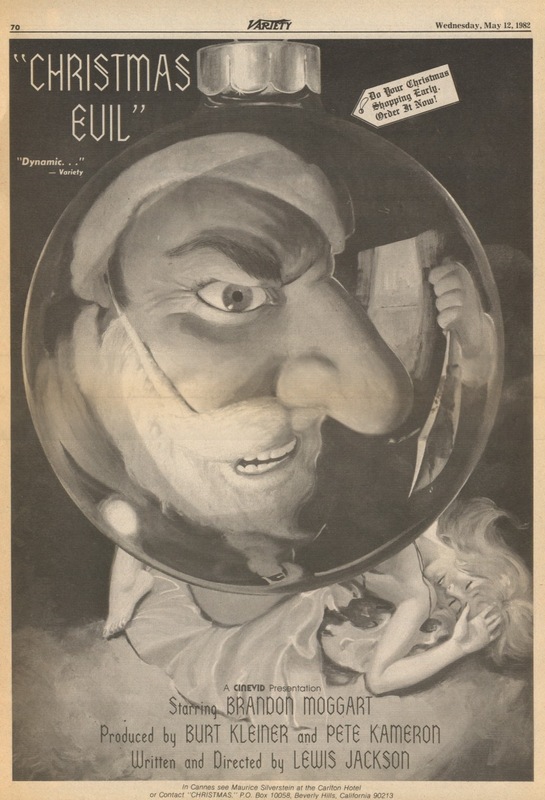 Released in 1980 You Better Watch Out, which also goes under such titles as Terror in Toyland and the more common title of Christmas Evil is a cult favorite and filmmaker John Waters has dubbed this the best Christmas film. 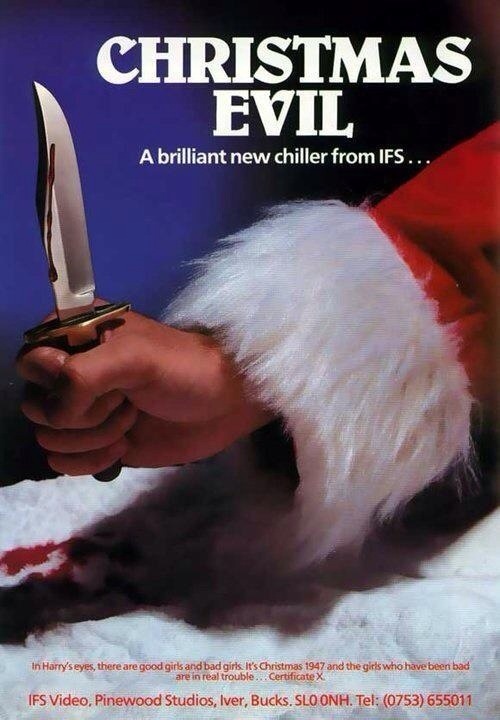 Despite the cult following some of the backlash it sometimes gets are from people expecting a slasher film, which this was marketed as and even the title Christmas Evil implies it. The trailer for the film has such lines as “this Christmas you better believe in Santa or he’ll sleigh you” and “the night he dropped in”. 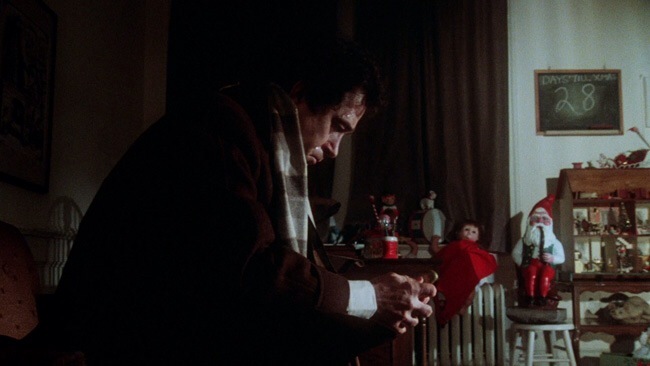 Christmas Evil does at times have a slasher like feel going for it, but its much more of a character study of a disturbed man who is losing his grip on reality. Writer/director Lewis Jackson came up with the concept for the film in the 70s, but it didn’t get made until 1980 and with the success of John Carpenter’s Halloween perhaps it slightly influenced certain aspects of Christmas Evil though Halloween and such films as Friday the 13th and Prom Night very much influenced the marketing. Christmas Evil is one of those films you can link to the slasher film, but its also one of those films that’s kind of a slasher, but at the same time isn’t. As mentioned some of the detractors of the film at the time of the release and even in the years following are due to some expecting a straight up slasher. 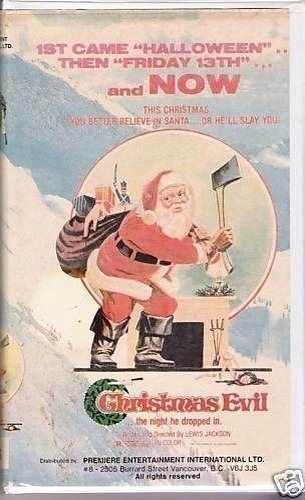 Even the home video releases for Christmas Evil very much play up to the slasher aspect of the film. 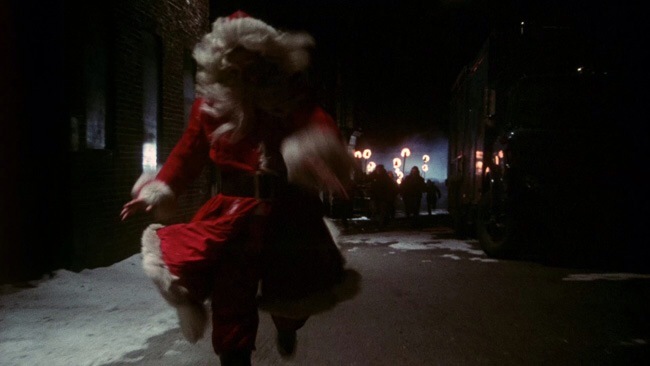 While there are a few death scenes with a killer in a Santa suit (more on that later), Christmas Evil is nothing like say Silent Night, Deadly Night. If anything its more like William Lustig’s Maniac only without the graphic gore. While I would list Maniac as a slasher film so perhaps that’s not the best comparison, but both films are a character study though if anything maybe Christmas Evil can sort of be compared to something like the Town That Dreaded Sundown in regards to it has a number of slasher aspects and the Town That Dreaded Sundown served as a clear influence of Friday the 13th Part 2, but it still toes the line of being a slasher and even a film like the Stepfather (1987) would also make a good comparison since Christmas Evil in regards to being more of a thriller with a little slasher thrown in. What I find so interesting and I also mentioned this is my review for the 1980 slasher film To All a Goodnight is both films feature a killer dressed in a Santa outfit and no one seemed to care, but 4-years later in 1984 Silent Night, Deadly Night would also have a killer dressed as Santa and would cause such outrage and even protests it only had a 2-week theatrical run and would later find an audience on home video. 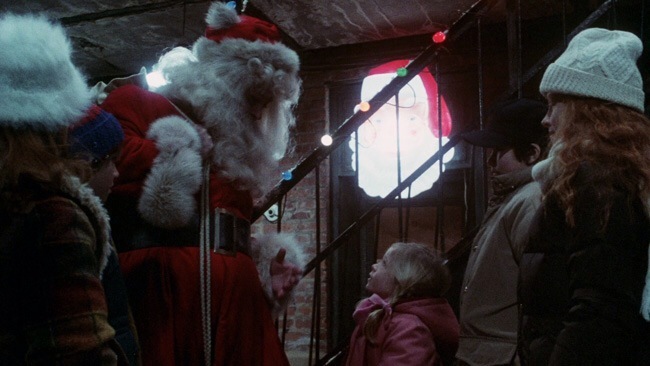 Silent Night, Deadly Night actually opened against A Nightmare on Elm Street and out grossed it very slightly opening weekend, but all went downhill after that due to the protesters and even the film Don’t Open Till Christmas had scenes with a killer Santa and was also released in 1984. 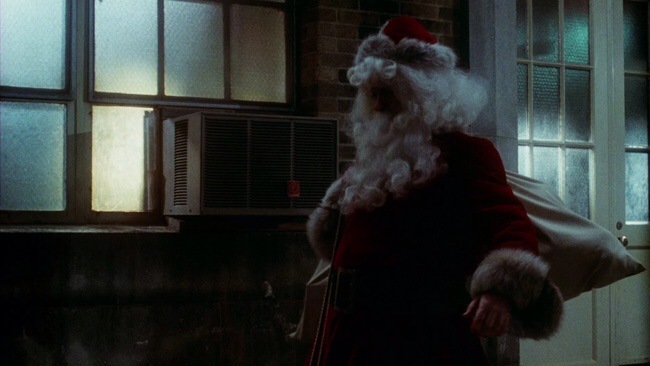 The trailer for Christmas Evil as mentioned does play up to slasher conventions with a killer in a Santa outfit, but again nobody seemed to care and Christmas Evil was left alone with no outrage. As a child Harry Stadling loved Christmas and looked forward to Santa coming every year, but when he learns Santa isn’t real and sees his mother and father (who is dressed as Santa) getting busy, for the rest of his life the now adult Harry (Maggart) tries to keep the Christmas spirit alive and even spies on children making a naughty and nice list; Harry ends up taking his obsession with Christmas and Santa too far as he begins to lose his grip on reality. Christmas Evil was written and directed by Lewis Jackson and the script is actually fairly strong with interesting characters and the family drama really works well and adds a bit of depth. Harry is quite an interesting character as he isn’t a bad person and just wants to keep the Christmas spirit alive, but he’s clearly unhinged and as the film goes on Harry begins to lose his grasp more and more on reality. 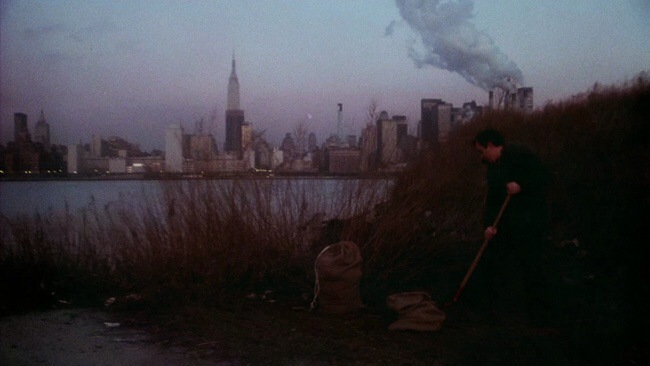 There’s also a lot of dark comedy, which fits in quite well with the offbeat nature of the film. While the writing is strong what really elevates Christmas Evil is the direction by Lewis Jackson and this would also be his last picture. From the very start, Jackson establishes a tone that’s quite odd and offbeat, which adds a layer of eerie atmosphere throughout the picture. The fact Harry spies on children and has a naughty and nice book even if he means no harm by it does give the picture a perverse feel regardless if that was Jackson’s intentions or not, but the way Harry watches the children adds this really eerie and strange feel to the film. The pace of the film is quite strong, but not exciting either as Christmas Evil is by no means a body count film despite a decent batch of killings in the 2nd half. Lewis Jackson makes a film that’s a character study and while those looking for a slasher film will be disappointed, but for those who get it you’ll appreciate what Jackson was going for. The tone of the film does kind of feel like a slasher and the 2nd half of the film does offer up slasher style killings, which were quite effective and I think the buildup works very well, but the only issue is Christmas Evil doesn’t quite have an identity at times, but regardless Lewis Jackson makes a terrific film that very much stands out in an era dominated by the stalk and slash film. Brandon Maggart who is the father of singer Fiona Apple delivers a truly wonderful performance and he’s in almost every scene and is very much able to carry the picture. I really like films where the main character in this case Harry might do some bad things such as murder, but he isn’t really a villain either. He’s a person that just becomes more and more unhinged and loses sight of wrong and right. It’s a very interesting character study and Brandon Maggart is quite excellent. 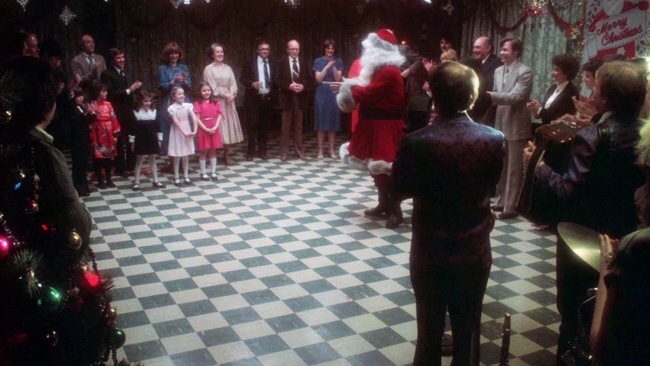 As mentioned John Waters has dubbed this the best Christmas film and a few people have echoed that statement. 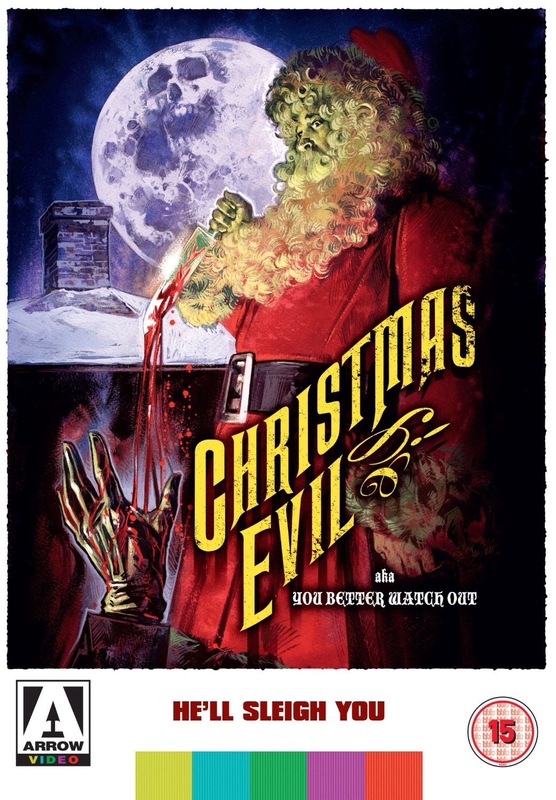 As enjoyable as I found Christmas Evil I personally wouldn’t rate it as one of the best Christmas themed films and just sticking with the horror genre in no way could I ever rate this film above the original Black Christmas. I’d also give the edge to Silent Night, Deadly Night as well, but make no mistake Christmas Evil is still a terrific film and its essential viewing during the Christmas season. 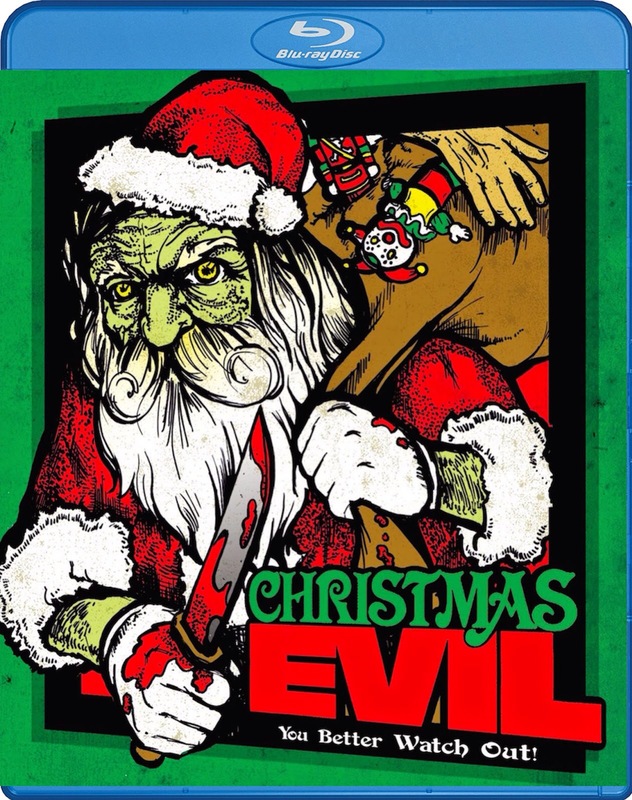 Christmas Evil was released on a blu-ray/DVD combo pack on November 18th, 2014 from Vinegar Syndrome. Christmas Evil has a brand new 4k scan from the original negative and results are nothing short of spectacular. Vinegar Syndrome in my opinion along with Synapse are by far the best two companies when it comes to horror and cult cinema in terms of quality. The releases from Vinegar Syndrome are more often than not seldom seen films and while Graduation Day and Christmas Evil are cult favorites I’m not sure if their popularity warrant the work Vinegar Syndrome puts into them, but this is why they’re a truly great company. 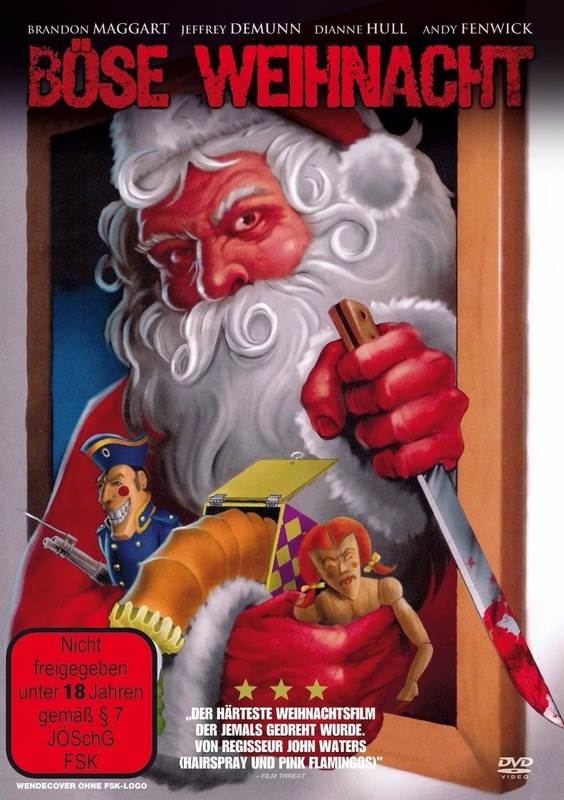 Christmas Evil is a low budget film and the blu-ray comes 34-years after its original release so you can’t expect perfection, but the HD video is terrific and hands down one of the best video presentations of an 80s horror picture. The audio is also quite strong and this is a very pleasing release. The extra features are a mix from past DVD releases from Troma and Synapse. The DVD version is also quite strong, but the blu-ray shines above it. Christmas Evil easily rates as one of the best blu-ray releases of 2014.